Today I’m beyond ecstatic to announce the formation of Ignite Talks PBC. I have reacquired Ignite from O'Reilly Media (their announcement) and the new company will support the 350+ Ignite cities worldwide. 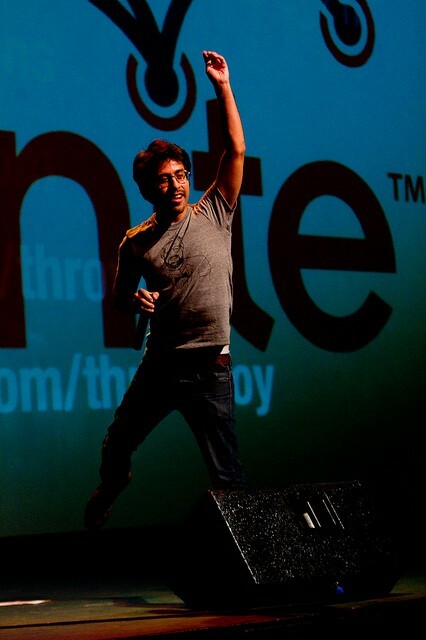 Ignite started as a geek event 9 years ago, but it has become an event for everyone. Ignite Talks PBC is an independent company that’s focused on supporting the Ignite community worldwide and promoting public speaking. We also have a new home on the web: IgniteTalks.io. We’re building this new site from scratch to serve as a directory for the thousands of Ignite events & videos from around the world, and as a resource filled with ideas and inspiration. There’s nothing like seeing a speaker captivate the audience — especially when you know they’ve never spoken publicly before. Ignite has made that possible around the world. My friend Bre Pettis and I threw the first Ignite event in 2006*. The goal was to have a night where geeks could share their ideas. We gave the speakers just 5 minutes on stage with 20 slides that auto-advance every 15 seconds. It started in Seattle, but other people adopted the format and it spread to other cities. Lots of other cities. Over the years there have been 350+ organizing teams in cities, universities, governments and companies have thrown thousands of events on all 6 (populated) continents. We’ve published over 5000 Ignite videos on thousands of topics with millions of views . As Ignite spread we realized the event & format’s true value — to enable people everywhere to share ideas and learn to communicate with confidence. This is built into the format. The auto-advancing equalizes the playing field for speakers while making the talks exciting for the audience. The audience gets to hear lots of ideas in a short time (plus the talks are only 5 minutes so if you’re bored you can grab a beer). As some of you know O’Reilly Media has been the home of Ignite and I appreciate their willingness to let Ignite leave the fold. As the events started to take off O’Reilly lent incredible support and helped the community grow. Thank-you Tim O'Reilly, Sara Winge, Laura Baldwin and all of O’Reilly for letting Ignite become independent. Thanks to our sponsors Foundry Group, Microsoft and PCH and our partners AWS, SVB and AEON Law for your support in getting this endeavor off the ground. Thanks most of all to the hundreds of Ignite organizers and thousands of Ignite speakers around the world. You can see their work below. I know there’ll be some questions. Here are some answers. *How did Ignite get started? Brady and I schemed up Ignite at a bar. We knew there was a community of smart and clever people around us, we just had to get them together and inspiring each other with stories. Brady is an awesome leader and it has been great to see him develop the Ignite infrastructure and then see it replicated all over the world. I expect more greatness from the flourishing Ignite community. More connections, sharing and inspiration. Go Ignite! Ignite Talks is a Public Benefit Corporation. We’re a mission-based company whose mission is “Everyone Speaks”. We believe that public speaking creates better communication. Public Benefit Corporations are a very new business concept. Kickstarter recently reincorporated as a PBC. As Yancey Strickler points out Patagonia & Etsy are also Public Benefit Corps. We think that we are in great company. How does Highway1 fit in? Highway1 and Ignite both provide platforms for people to move their passions forward. I’m excited to work on both, and I know they’ll work together very well. How do I speak at or start an Ignite? Ignites are about community building. 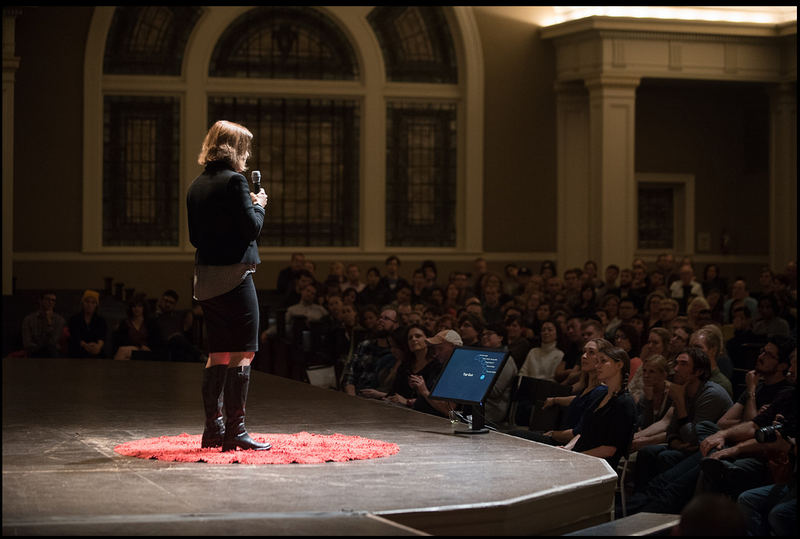 If you want to speak check to see if your city has an event and then submit a talk. If there isn’t one near you, then start one for your city, business, government, or university let us know. Heck, we’ll even set you up with your own site if you’re just starting out with a URL like http://cityname.ignitetalks.io using Wordpress. Ignite has been around for 9 years, but Ignite Talks PBC is only a month old. We have lots of work to do. We’re going to expand our support of Ignite organizers, build out an Ignite-based public speaking curriculum and relaunch our video webseries. We’re just getting started and could definitely use your help. Contact us! What are some Ignite talks I should watch? Scott Berkun- How and Why to Give an Ignite Talk at Ignite Seattle.